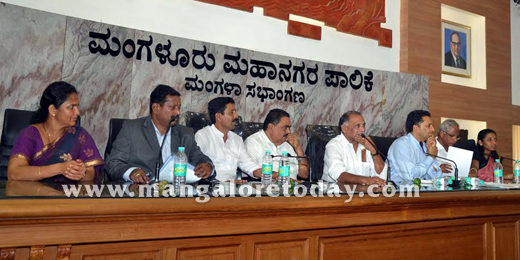 Mangaluru, Mar 04, 2015: Speaking at a preliminary meeting on March 3, Minister for Youth Empowerment and Sports Abhayachandra Jain has promised to impress upon Chief Minister Siddaramaiah to release Rs 1 crore for the Federation Cup National Senior Championship which will be held in Mangaluru from May 1 to 4. He said any shortfall in funds needed for hosting the national level event needs to be mobilised from sponsors and others. A meeting of the educational institutions especially engineering and medical colleges should be convened to seek support from them. He said synthetic track at Mangala Stadium should be utilised only by athletes. Morning walkers and others should not be given permission to utilise the track. The district administration and department of youth empowerment and sports should be committed to follow the rules laid down by the stadium committee. The exhibition ground should be developed as warm up area. The exhibition ground can be given for morning walkers and schools and colleges to conduct sports events. Flood-lighting : The minister said taluk-level marathon can be conducted to give wide publicity to the Federation Cup National Senior Championships. "Temporary flood-lit facility at the Mangala Stadium should be worked out to conduct the events between 6 pm and 10 pm," he added. DK DC Aroor B Ibrahim said at least 200 volunteers must be mobilised. 500 to 600 rooms to accommodate athletes, officials and others will have to be provided. Food courts and the like to cater to the needs of around 2,500 persons including athletes and officials is foreseen. The estimated budget for hosting the Federation Cup is around Rs 1.75 crore. The DC said transportation facilities should be provided to the public who come from all corners of the country to witness the games is essential too. He said that organising committee, finance committee, security, purchase, cultural, medical, transportation and accommodation committees needs to be constituted. Mayor Mahabala Marla confirmed the basic facilities for the Mangala stadium and exhibition ground will be provided by the Mangalore City Corporation. The exhibition ground once developed as warm up area should not be used for cultural programmes or exhibitions and the likes. Department of Youth Empowerment & Sports Director Venkatesh said 100 metre warm up track needs to be developed at the exhibition ground along with the construction of toilets. The Mangala Stadium needs a face lift. Flood-lighting and drinking water facilities should be provided to the Stadium. The synthetic track should be up dated. A national level competition of this level will need quality facilities, Federation Cup assumes significance as the performance of the athletes in this meet will be taken into account to select the Indian participants for Asian Athletics Championships to be held in Wuhan in China from June 3. Athletic Federation of India COO Manish said "the host should ensure that good facilities are provided to the athletes." MCC Commissioner Hephsiba Rani Korlapati, DK Athletics Association President Manjunath Bhandary, ZP CEO Tulasi Maddineni , MLA J R Lobo and others were present. The required enthusiasm has to be raised amoung the local youth too.